I was once told that there are relatively few sea birds on Islay as the cliffs are mainly ‘the wrong type of cliff’ with comparably few horizontal ledges and cracks the birds can rest and nest in. 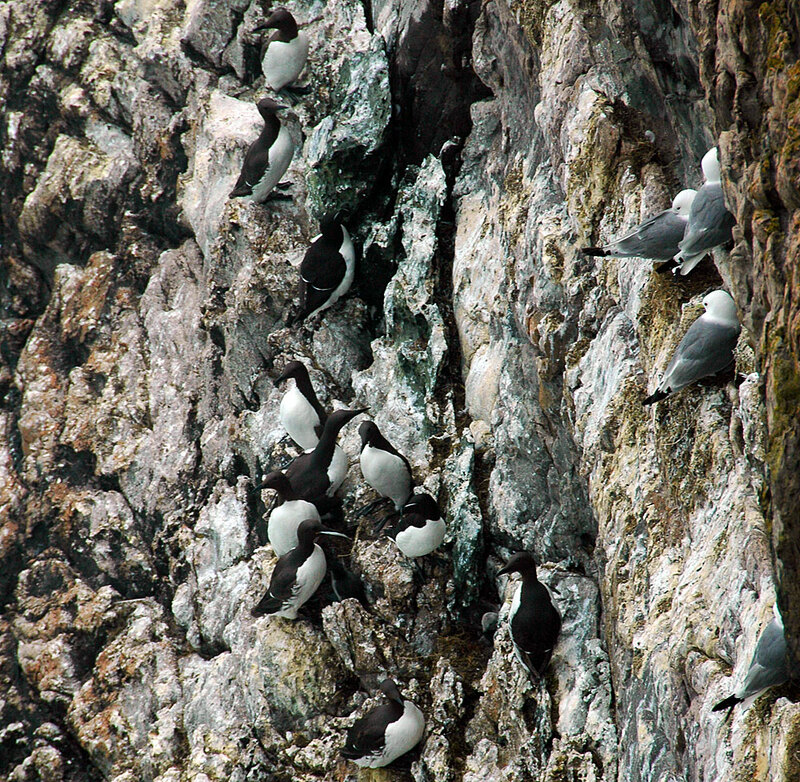 Still, there are some places good enough for the birds on Islay as this picture of a few Guillemots and Kittywakes shows. This entry was posted in Cloudy Weather, Landscape, Repost, Wildlife and tagged Guillemots, Islay, Kittiwakes by Armin Grewe. Bookmark the permalink.